Collaborative is dedicated to reducing the burden of lung cancer in Kentucky and beyond through development, evaluation, and dissemination of novel, community-based interventions to promote provider education, survivorship care, and prevention and early detection regarding lung cancer. 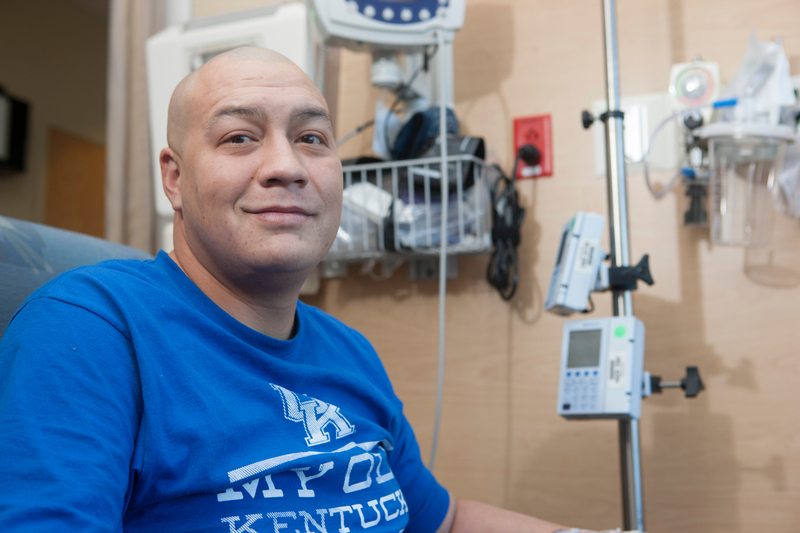 The Kentucky LEADS Collaborative is a heavily community-engaged effort forged by the University of Kentucky, the University of Louisville, the Kentucky Cancer Consortium and the Lung Cancer Alliance, and funded by a generous grant from the Bristol-Myers Squibb Foundation. This collaborative will promote lung cancer survivorship in Kentucky and move forward with a broad array of partnerships across the Commonwealth united by the mission to improve lung cancer care in Kentucky. 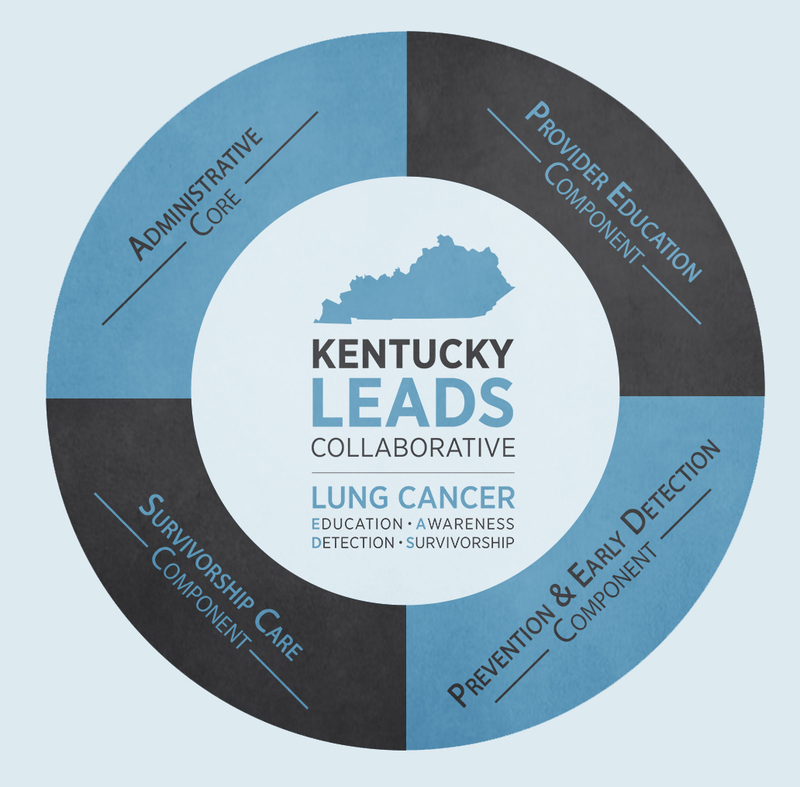 The Kentucky LEADS Collaborative (LEADS = Lung Cancer Education, Awareness, Detection, and Survivorship) entails three key components and an administrative core, committed to reducing the burden of lung cancer in Kentucky. The first component, Provider Education, will be led by Connie Sorrell of the Kentucky Cancer Program West and Dr. Goetz Kloecker of the University of Louisville. The mission of this component will be to develop and evaluate a continuing education program for primary care providers regarding quality lung cancer care by highlighting evidence-based lung cancer diagnosis and treatment, but will also address evidence-based tobacco cessation, early detection, and survivorship efforts. The second component, Survivorship Care, will be led by Dr. Jamie Studts of the University of Kentucky. The aims of this component will be to develop and evaluate a lung cancer-specific survivorship program for individuals diagnosed with lung cancer as well as their caregivers. This component will also develop a training program to facilitate dissemination of the lung cancer survivorship care program that will target lung cancer navigators and mental health providers. The third component, Prevention and Early Detection, will be led by Drs. Timothy Mullett and Jennifer Redmond Knight at the University of Kentucky. The mission of this component will be to facilitate high-quality implementation of lung cancer screening throughout Kentucky and will also work to ensure the integration of shared decision making and evidence-based tobacco cessation interventions in lung cancer control efforts. The Kentucky LEADS Collaborative will be implemented in three phases. During year 1, the Development Phase, component teams will build their interventions and prepare for implementation. In year 2 and proceeding into the first six months of year 3, the component teams will enter the Research Implementation and Evaluation Phase, which will involve implementing and testing the recently developed interventions. In the final six months of year 3, the component teams will analyze and disseminate results from the projects, but also consider indicated adaptations and sustainability. 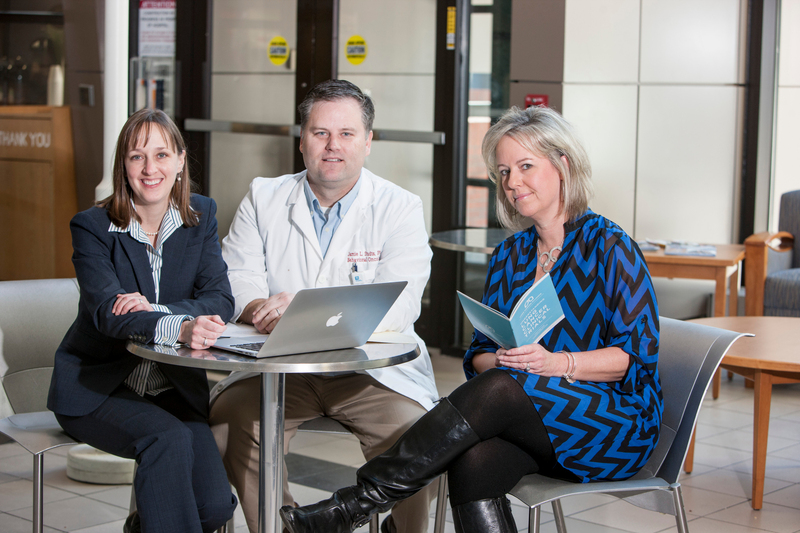 Collaborating with an extensive network of community partners, this interdisciplinary team of community partners and lung cancer prevention and control experts create a unique opportunity for Kentucky to lead in the area of lung cancer survivorship research and programming.